Shouldn’t the military stay out of politics? I remember when CSB won in 2000, there were swirling rumors (fancy that) that the military would rebel. That didn’t happen, but it remains a constituency with a strong preference (understatement) for the KMT. Ma hooked up with some military big-wigs to attend “a joint commemoration of Chiang Kai-shek and Sun Yat-sen”. He delivered a speech “ringed by 11 retired generals” (what an image) in which he invoked “Sun Yat-sen’s deathbed exhortation: peace, struggle on, save China”. This earned him big props from said generals. Hau Pei-tsun (father of the incumbent KMT Taipei Mayor), said Ma is “the only [suitable] candidate”. Hsu Li-nong trumped that by saying “today there is no literal battlefield where we might exert our Whampoa spirit. 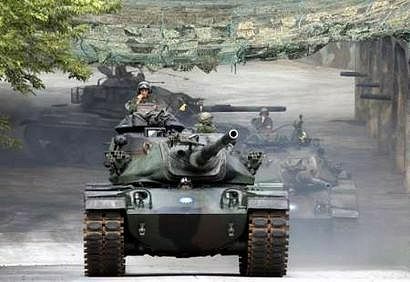 Today, our battlefield is the election … Today, supporting Ma Ying-jeou in the election is defending the Republic of China”. Good imagery, but shouldn’t the military stay out of politics? I linked to Dafydd Fell’s Brookings election overview the other day. He has an updated overview in the TT. Dafydd is still surprised that the polls are so tight and disappointed that the legislative campaigns have flown under the radar. He also points out that “this has been the least passionate presidential election in Taiwan’s history”. I am unfortunately not present in Taiwan for this campaign, but from a distance it appears less inspiring (and divisive) than the first three presidential campaigns which I did witness. There are numerous potential explanations for the slightly underwhelming emotions surrounding what is a crucial election. The candidates are low key and intellectual rather than affective speakers. The salient issue, the economy top-to-bottom, does not inspire the same kind of passionate rhetoric that national identity would. On several issues, the parties are not too far apart-nothing like, for example, Lee vs. Peng. 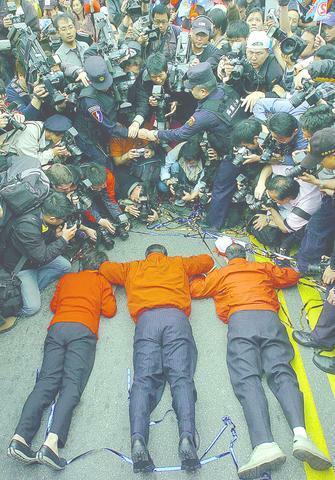 Tsai is not as polarizing, or have as many enemies, as CSB. Given how close the presidential election is, and our best guesses that the KMT will control the legislature, but with a much smaller majority, post-election there will be need for bi-partisan cooperation. This may be having an effect on the low levels of competition we see now. Although its my bad luck to be blogging “the least passionate presidential election” to date (and I do secretly yearn for Soong to introduce some spice), it might be a positive sign for Taiwanese democracy. Elections have perhaps become so routinized that they don’t arouse the same passions as previously: and remember that those same passions often spilled over into unseemliness. Democratic institutions have perhaps gained sufficient trust that people do not have the same level of fear should their chosen party not win. So, boring doesn’t necessarily mean bad. And the elections are still 2 months away, plenty of time to heat up.